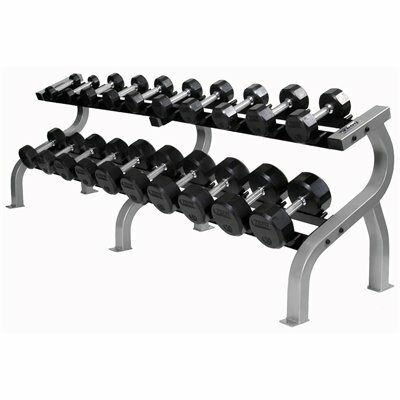 This set includes a pair each of 5-150lb Hammerytone Iron Gray Pro-Style Dumbbells with Chrome Endcaps and Chrome Staight Handles in 5lb increments. 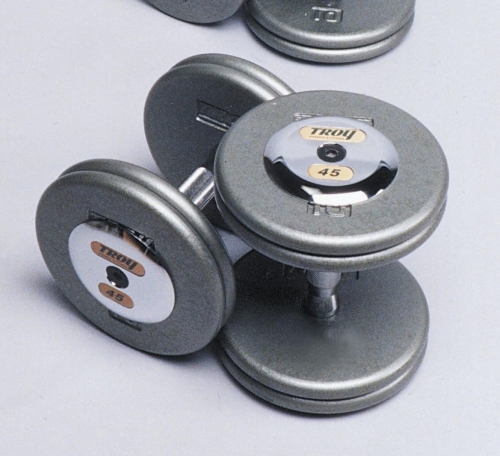 Our Troy Iron Pro-Style Hammertone Dumbbells are all pre-assembled to ensure that they meet the standards required in heavy used commercial applications. The chrome or rubber encased endcaps include the TROY name and numbers for easy identification. The plates are engineered to work specifically with Troy's chrome straight handles for the most precise fit. The dumbbell grips measure 27mm in diameter and the gripping area is 4.75" long. In addition, you can choose between chrome or black rubber endcaps. 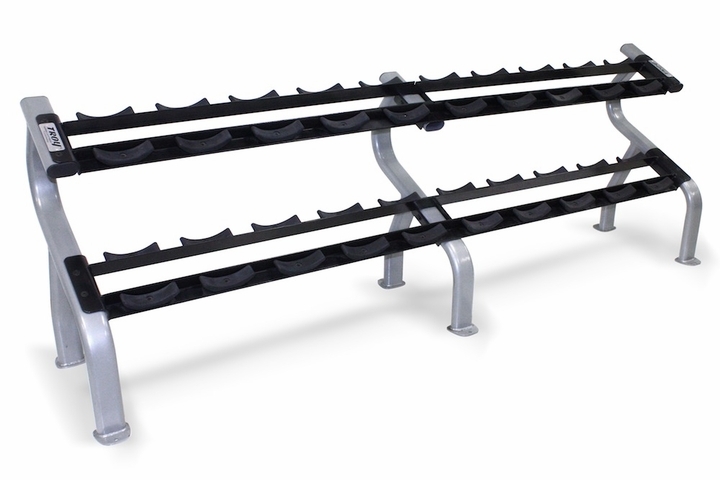 The endcaps are designed to offer added protection for the weight plates, plus, greatly enhance the look of the dumbbells. Call 1-800-875-9145 to speak with one of our fitness advisors with any questions you may have about the Troy Iron Pro-Style Hammertone Dumbbell Set 5-150 HFD-C. Don't wait order your Troy Iron Pro-Style Hammertone Dumbbell Set 5-150 HFD-C from FitnessZone.com today! Order your Troy Iron Pro-Style Hammertone Dumbbell Set 5-150 HFD-C from FitnessZone.com today!